Trainers Choice EAB is made from a more lightweight, high quality material than the Premium EAB. Lined with a medical grade adhesive, Trainers Choice doesn’t compromise on performance. This is a perfect option for teams and clubs, it is ideal for sports strapping. The powerful adhesive layer offers very strong support and compression. The tape itself has a pronounced feathered edge which increases users comfort. Excellent option for strapping up elbows, knees and shoulders. It’s also a perfect option for lineout tape for rugby teams. 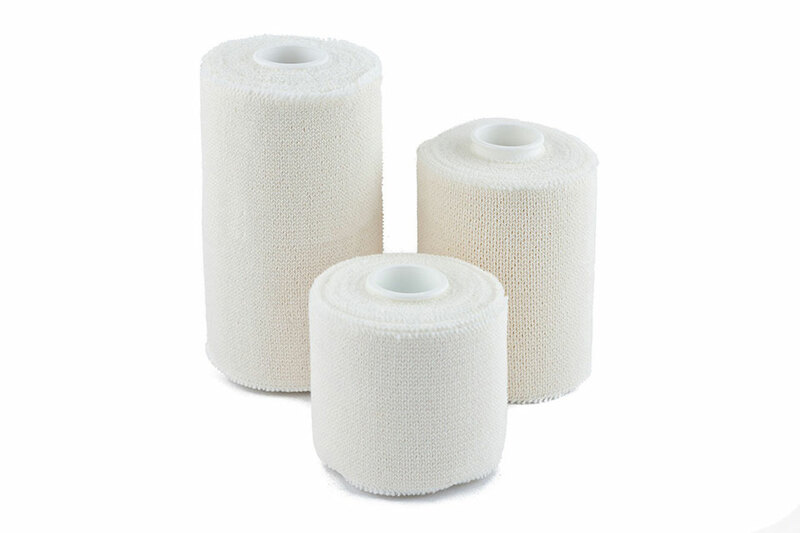 Trainer Choice EAB is one of the elastic adhesive bandages available. We also have the Premium EAB and Tearlite (the easy tear, latex free version).